Contrary to initial expectations, many of the white wines in 2009 are absolutely stunning. They began to show their true qualities only after the summer, when a mineral backbone appeared in support of the graceful, ripe fruit. Sugar levels are where they should be everywhere, acidity either just right or sometimes just a touch on the low side. Overall is more of a feel of 1999 than 2005. The summer of 2009 had a very different feel to it compared to its two immediate predecessors. It was not without problems, notably hail in May and some poor weather in July, but at least the ground heated up properly this year which it had signally failed to do during the drab summers of 2007 and 2008. 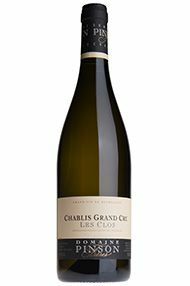 Some lemon-scented notes freshen up the scintillating bouquet, while the core of steel which threads through the palate fully demonstrates its Grand Cru status.